The Veresov ( 1 d4 Nf6 2 Nc3 d5 3 Bg5) is little-played and understood when we compare it to other queen’s pawn openings, like the Trompowsky, Torre Attack and London system. As such it can be a very dangerous weapon in the right hands. Very few club or amateur players will be properly prepared to play against it. The Veresov is an attacking opening, based on quick minor-piece development followed by effective pawn levers to open the game. The Veresov ( 1 d4 Nf6 2 Nc3 d5 3 Bg5) is little-played and understood when we compare it to other queen’s pawn openings, like the Trompowsky, Torre Attack and London system. As such it can be a very dangerous weapon in the right hands. Very few club or amateur players will be properly prepared to play against it. The Veresov is an attacking opening, based on quick minor-piece development followed by effective pawn levers to open the game. Many strong grandmasters have used the Veresov as a surprise weapon, including Spassky, Tal, Bronstein, Alburt and Gufeld. Modern exponents include Miladinovic and Jonny Hector, with whom the Veresov is a special favourite. On this all-new ChessBase DVD Andrew Martin introduces the opening and discusses how the main themes work. After that comes a selection of repertoire choices. Finally, there is a quiz, where you may test yourself about what you have learned. 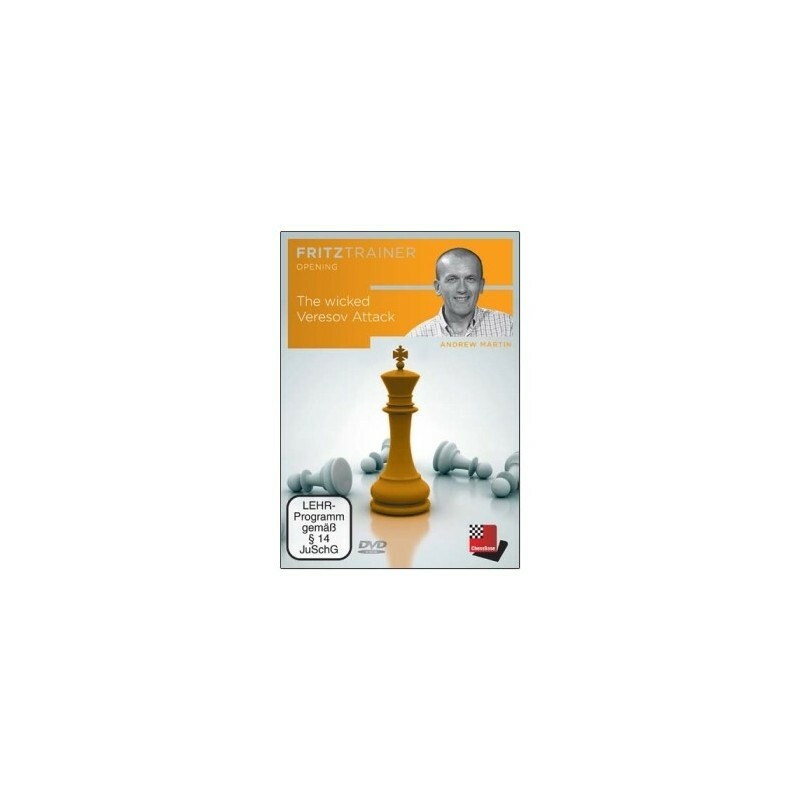 This DVD is an ideal introduction to this opening for players below 2000 or busy players who would like to play aggressive chess, but do not have time to learn the main lines. The Veresov is worth studying and playing! • Video running time: 4 h 24 min.